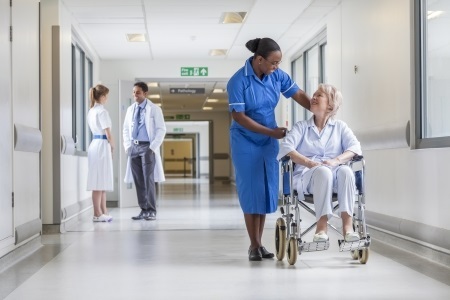 Thrombosis and embolism affect thousands of people every year in the United Kingdom. Both conditions can have serious health consequences and can both prove to be fatal if they are not correctly identified and treated. In order to treat these health problems, it is important to properly understand the differences between the two conditions. Thrombosis is the name given to the formation of blood clots in an area where clotting is not a medical necessity. When the body is injured in any way, the blood may need to clot at the site of the wound to help to prevent blood loss and promote healing. Platelets and Fibrin in the blood can bond together to produce a clot which protects the affected area. However, clots can sometimes form within blood vessels when they are not medically required. This normally happens because of a change in the speed of the blood flow or the core content of the blood. Thrombosis can affect the flow of the blood around the body. Clots can partially or fully block a blood vessel, meaning that blood cannot circulate in the normal way. This is referred to as an embolism. Unexplained pain, heat or swelling in one area of the leg may suggest deep vein thrombosis. 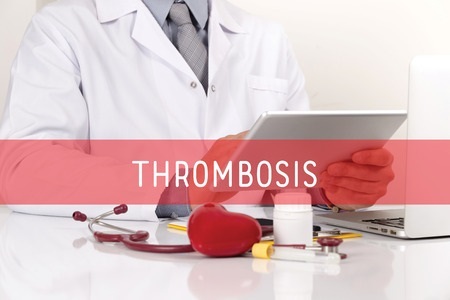 Thrombosis is more likely to occur in people who are unable to move freely, for whatever reason; including those maintaining a sedentary lifestyle, wearing a plaster cast, and immobility following surgery. Thrombosis is sometimes referred to as “economy class syndrome”, because the development of deep vein thrombosis (DVT) is widely associated with long haul air travel. Other factors are linked to lifestyle issues, such as drinking, smoking, obesity and becoming dehydrated. There are also plenty of other contributory medical factors. Medication and medical treatments as diverse as the combined contraceptive pill and chemotherapy are both known to increase a person’s risk of thrombosis. Once a blood clot forms at a site through thrombosis, it may remain stationary or it could travel to another site in the body via the circulatory system. If a clot travels to a major organ, it can become lodged in one of the blood vessels within that organ and may cause serious health consequences, including a heart attack or a stroke. An embolism is the name given to a blocked blood vessel. Although an embolism can be caused by a blood clot, an embolism can also be caused by other things (embolus) blocking the flow of blood. Other types of embolus include; air bubbles, gas bubbles, fat globules and any other foreign objects which have been able to enter the blood stream. In some cases, an embolism may be artificially created to serve a medical purpose, such as reducing the flow of blood to a cancerous tumour. If an embolism stops the flow of blood to a major organ, it is likely that the functions of that organ will be reduced. Strokes and pulmonary embolisms are two of the most serious conditions which are related to embolisms. The symptoms of an embolism normally depend on where in the body the blockage is. Clots can partially or fully block a blood vessel, meaning that blood cannot circulate in the normal way. When an embolism blocks a vein (vessel which takes blood towards the heart), blood and other fluids can start to build up in the area behind the blockage and this can cause noticeable swelling. If an embolism blocks an artery (the vessels which takes blood away from the heart); then this can cause areas of the body to become starved of blood and oxygen. This can cause necrosis to occur. The affected limb may start to change colour and temperature. Sudden sharp or stabbing pain in the chest could indicate a pulmonary embolism, especially if it is accompanied by a shortness of breath, faintness, dizziness or a cough. Symptoms of a stroke include; weakness or numbness in one arm, a drooping face, and inability to talk properly (including slurred speech). Blood clots are the main cause of an embolism, but other types of embolism are also possible. Scuba divers must be aware of the risks associated with gaseous embolisms. Surfacing too quickly can cause nitrogen gas bubbles to form in the blood stream, which might cause decompression sickness. Surfacing in a careful and controlled way helps to protect divers. Anyone who regularly uses needles should also be aware of the dangers that are associated with accidentally injecting air bubbles into the blood stream. Physical trauma is the main cause of embolisms relating to foreign bodies. A wound or a bone break can cause foreign objects or bone shards to enter and subsequently block blood vessels. The treatments for embolisms can depend on the type of embolus. Prevention methods are also tailored to represent the risks of the individual.